Electric car drivers in Alton will be powering ahead thanks to the installation of two rapid chargers in a town car park. The new chargers have been brought to Manor Car Park by East Hampshire District Council and ChargePoint Services, which provides an electric vehicle charging network across the country. The machines are the latest in electric vehicle charging technology, giving drivers confidence that they can charge quickly and reliably during their journey. EHDC has two electric vehicles for staff use, saving money on fuel. Cllr Dean Phillips, an East Hampshire District Councillor for Alton, said: “I am delighted that we have these high-spec charge-points in Alton, so close to the High Street. 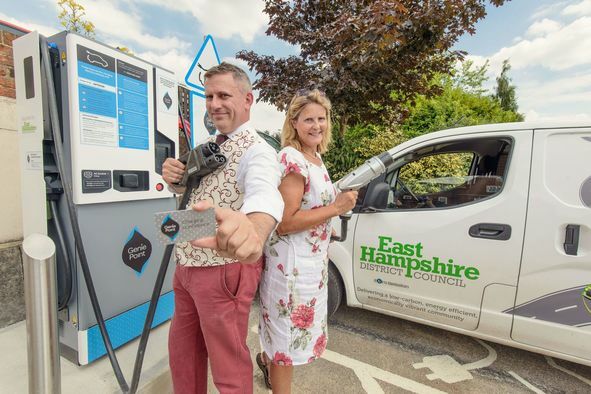 Alton’s charge points join others already in East Hampshire, including in Central Car Park in Petersfield and Liphook Services on the A3, making it easier to driving an electric vehicle around the district. The new chargers, part of ChargePoint Services’ GeniePoint Network, are proving to be a huge hit with electric car owners in East Hampshire. The Petersfield charger has seen more use than any other GeniePoint charger in Hampshire, despite only being installed in February this year. Alex Bamberg, managing director, ChargePoint Services, said: “ChargePoint Services is very pleased to be supporting EHDC in the roll-out of further charging facilities in East Hampshire. 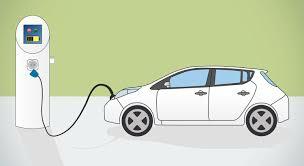 It is clear from the extremely steep increase in usage, that the public are waiting for rapid charging facilities to become available and are embracing the facility immediately it is installed. 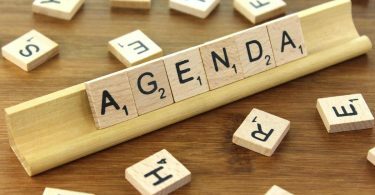 The GeniePoint Network is continuing to grow across the UK. In Hampshire there are now a total of 19 with new chargers being installed in Chichester and Havant, and many more scheduled before the end of 2018. This service is provided to you at no charge by East Hampshire District Council.